Fill out the form with any questions or inquiries you have for the sales consultants at Gwynedd Ridge. You can also call or chat with us for immediate responses. The Maple Valley proves popular with families. The open kitchen with island has a commanding view of the sunlit café area and gathering room with its dramatic ceiling. 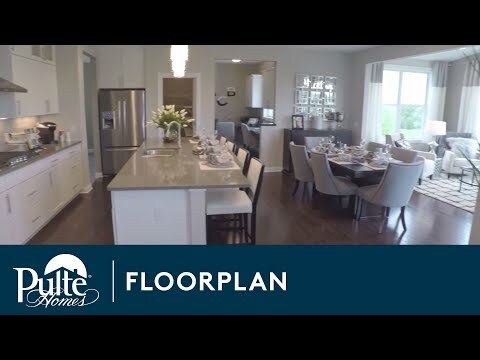 The open layout includes the versatile Pulte Planning Center®, to keep busy families organized. The Upstairs loft space works well for a kid's play area or homework space. An extra storage area in the garage is the perfect spot for recycling bins, bicycles, yard equipment or a small workshop. Step inside MapleValley to see the Life-Tested Home Designs® with more usable space where you want it most. So you live the way you want to live. The Maple Valley home design is known for its open layout, abundance of flexible spaces and spa-like owner’s suite. Entertain in the spacious kitchen with stainless steel appliances and granite countertops, or retreat to the owner’s suite and relax in your well appointed owner's bath featuring 12x12 tile, Legacy maple cabinets and a large walk-in closet.